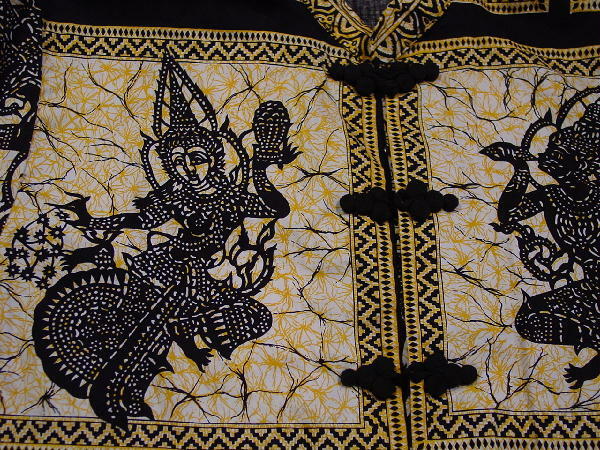 This vintage blouse (which can also be worn as a lightweight jacket) is 100% Thai Cotton and was made in Thailand. It has 2 bottom side seam 4" slits and five rolled fabric ball and loop front closures. 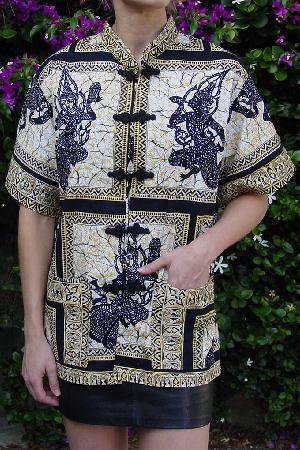 There are two lower front pockets, short sleeves, and a Mandarin collar. 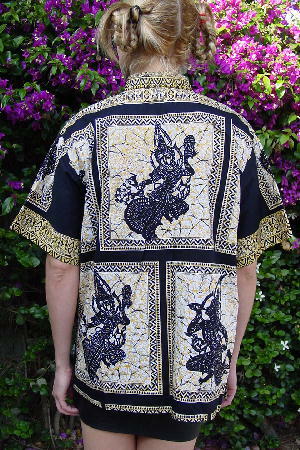 It has a pattern of Asian figures and designs in black, white, and yellow-maize. A model picked it up on a location photo shoot.